Myrtle Reilly, 91, of Chattanooga, TN, passed away on October 27, 2018. She was a long time resident of Chattanooga having moved here to attend business college. She was employed by the law firm of Milligan, Hooper and Harris as a legal secretary which later became Milligan, Barry, Hensley and Evans for 41 years and retired from the State of Tennessee in 2006 as secretary to Circuit court Judge Sam Payne where she worked for 11 and half years. 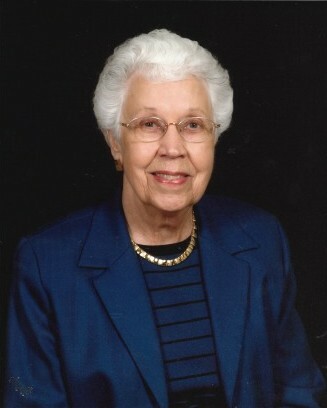 Myrtle was an active member of the International Association of Administrative Professionals from 1969 until it was dissolved in 2015. She enjoyed volunteering and did so at Volunteers in Medicine, Siskin Hospital, Erlanger Hospital, Breast Center at main campus and Erlanger East. On March 9th of 2018, Myrtle was presented with the American Cancer Society Life Inspiration Award for all the hours she gave as a volunteer. She was preceded in death by her husband, John J. Reilly, parents, Mr. & Mrs. Clarence Davis of Chatsworth Georgia, three brothers, France, Milton and Ray Davis, three sisters, Annie Rogers, Ruby Fuqua and Alene Ross. Myrtle is survived by niece; Myra F. (Dr. Mark) Steele and their two children, Austin and Megan Steele, Chattanooga; niece Jeanette (John) Tipton, Deland Flordia, great niece and nephew; Kimberly and Charles Tipton, niece; Patricia Rogers (Scott) Painter, Dalton Georgia; nephew Don Fuqua of Denver Colorado. A funeral service will be held at 11 AM on Tuesday, October 30 in the funeral home chapel with Dr. Bill Owens officiating. Burial will follow at Hamilton Memorial Gardens. Please visit www.heritagechattanogoa.com to share words of comfort and view the memorial tribute. The family will receive friends on Tuesday, October 30 from 9-11AM at Heritage Funeral Home, 7454 E. Brainerd Rd.